Explore the implications of safe and circular materials strategies on the design process through a redesign workshop. Often, a chemical of concern is used because a product designer or manufacturer may be unaware of its potential human and environmental impacts, or because it is critical to the functional performance of the product in question, such as flame retardants and stain repellents. Through this product redesign workshop, you will obtain an understanding of the implications of integrating safe and circular materials choices in the design process. You’ll explore a number of strategies for replacing and designing out chemicals of concern. Explore examples of chemicals of concern and how they may be tied to material characteristics. Become familiar with screening chemicals in a product. Explore how to use different strategies that can help to design out chemicals of concern. Reflect on how product design can be linked to implementing safe and circular materials. This method can be explored individually or run as a workshop with 5-7 participants. 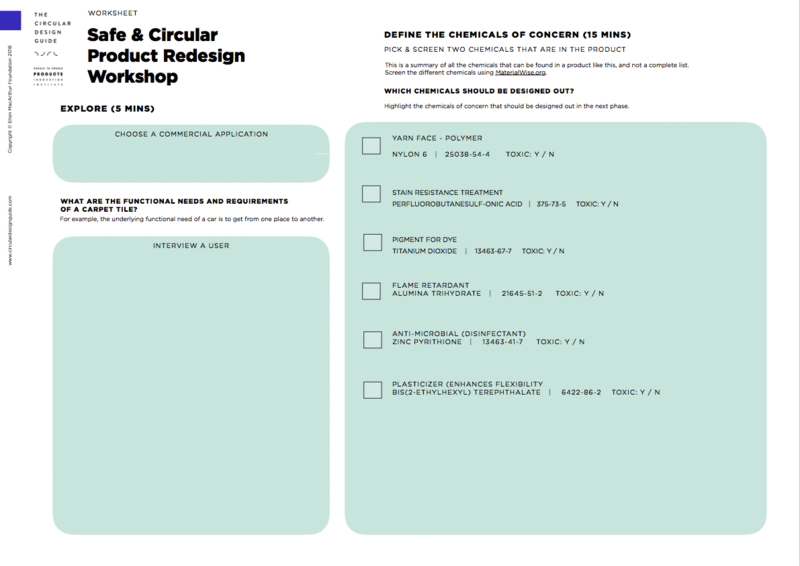 To prepare, print out the Safe & Circular Product Redesign worksheet and the Safe & Circular Strategy Cards. You could use the Safe & Circular Product Redesign Presentation as a guide through the workshop. In the workshop, we will use a carpet tile as a sample product for redesign - the type you might find in an office or hotel. This presentation will help you and the other participants to get familiar with the design of a carpet tile. The design goal is: redesign a commercial carpet tile to make it safe and circular. Choose a commercial application for a carpet tile. Ask yourself the question or interview one of the workshop participants on the value that a commercial carpet tile brings. What features do users value, and which are essential? Write down the key values of commercial carpet tiles on the worksheet. Products designed for use in healthcare or educational spaces might require different functionality than those in private homes. A school for instance may prioritise durability and stain resistance to prevent damage from creative activities. 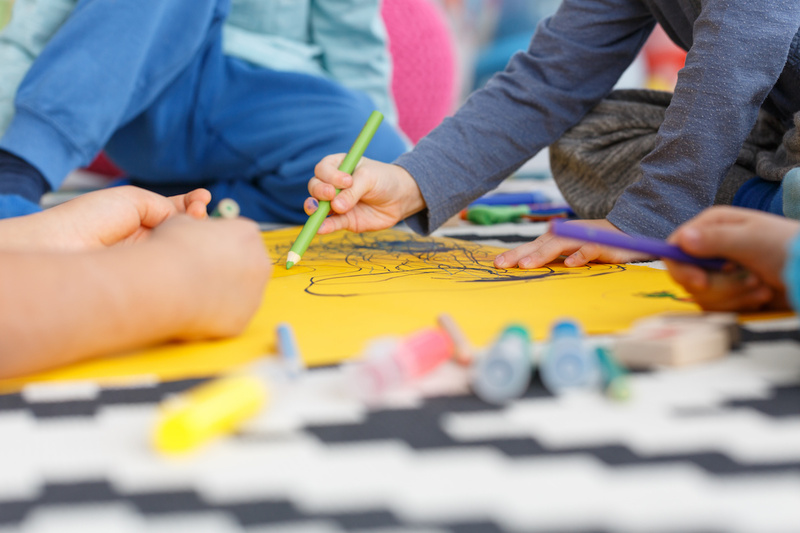 However, designing a carpet with safe materials is important in these spaces due to childrens’ higher sensitivity to toxins in their environment. Homogeneous materials comprise part or all of a product’s make up. Homogenous materials are defined as having uniform composition and are not, in theory, able to be separated mechanically. The chemical components of a homogeneous material often have characteristics that make the material important to a product’s overall performance and its value to the user. On the worksheet, some of the chemicals that can be found in homogeneous materials are listed. These chemicals may be necessary for the material to possess its valuable characteristics. Select two materials that deliver the key value of the carpet tile to the user. The next step in the process is to screen the two chemicals you selected. The screening process enables you to explore whether there are any known chemicals of concern in the materials. The MaterialWise platform includes a free and online screening tool that can help you do this. MaterialWise is a free tool that enables everybody to screen any substance against a wide range of authoritative lists. This process can help to identify whether there are any known hazards within the material choices you are making. This type of screening helps you avoid known hazards, but it does not necessarily mean that the substance is safe. After screening, further exploration is necessary to be sure of the safety implications of this material choice. On the worksheet, you will find a list of chemicals that appear in each of the carpet tile materials. Log-in or register with your email address. 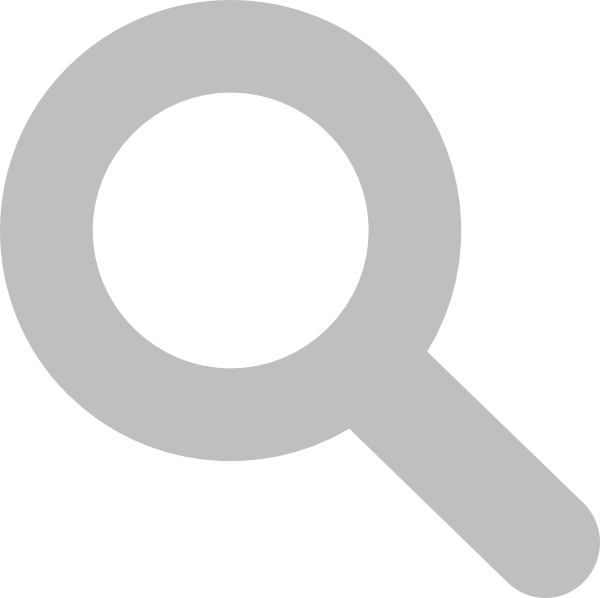 Search for each substance through its Chemical Abstract Service number (CAS number). Add a concentration for each substance. When you are unsure, fill in a random number. Press “Screen” when you are ready. Highlight the substances of concern. Now that you have determined which materials contain known chemicals of concern, you have the information you need to prioritise them for redesign. But first, take a step back and reflect on what roles those chemicals play in the product. Next, read through the Safe & Circular Strategy Cards and come up with new carpet tile product ideas using safe and circular materials. Designing out chemicals of concern will require different strategies for different products. The Safe & Circular Strategy Cards are meant to prompt your thinking on different approaches. Come up with quick ideas for each of the strategies. Select one idea with the group. Explain this idea with a visual approach. Your ideas may include changing materials or chemicals, a more holistic redesign of the product, or even creating a new material. 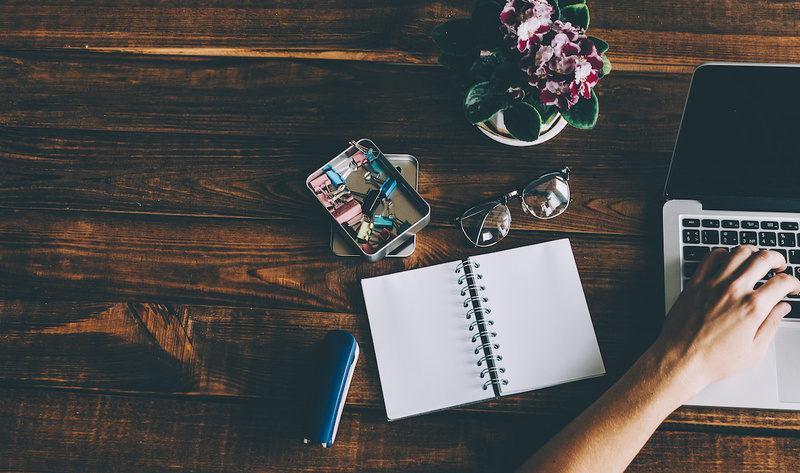 Reflect on the design strategies and approaches you typically use. Where could you include consideration of material health in your own design process? How might you need to change your design strategy to incorporate material health? What kind of information do you need to select safe and circular materials for use in your product? How can you access this information? How can you work together with your team members and your supply chain to gain access to information on the chemical composition of a material? What needs to shift in your design approach to ensure material health is seen as an opportunity and a creative starting point by your team? What information and context must be included in the design brief in order to integrate material health and safety into your design process? Who from your organisation needs to be involved? What kind of expertise is needed on your team to ensure material health considerations are fully addressed? Where and how can you access this expertise? Pitch your idea to the group. Elaborate on how the implementation of strategies to use safe and circular materials will influence the design process. Finally, share your outcomes on the Circular Design Guide LinkedIn group and continue the conversation. If you have any feedback or questions on this workshop, feel free to post them on the LinkedIn group and share your thinking with the community. Tarkett® has removed man-made Perfluorocarbons (commonly called PFCs) from all of its Tandus Centiva®-branded soft surface products and replaced them with a natural soil repellent. ‍Best Practices in Chemicals Management, a resource from ChemSec, explains how toxic chemicals are a hidden business risk and provides guidance on getting started with chemicals management. Explore the value proposition and the business model around the product or product-service system through the Strategyzer Business Model Canvas or Value Proposition Canvas.